Banks Violette presents a gorgeous installation at Gladstone Gallery. 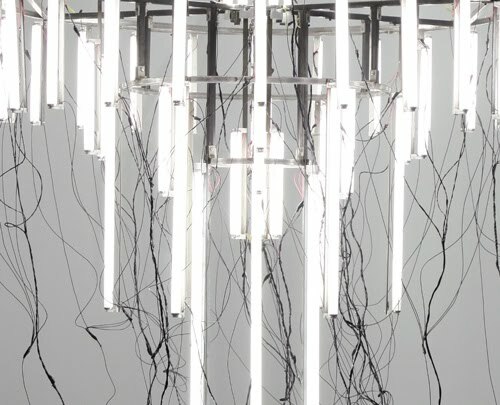 A giant chandelier made of fluorescent lights and hanging wires is a a forward moving departure from his typical sculptural works made from found objects and salt. This massive lustre hangs close to the floor in dramatic contrast to the black wall installation of a shiny lacquered surface that seems to be crippling and melting from the intense light. 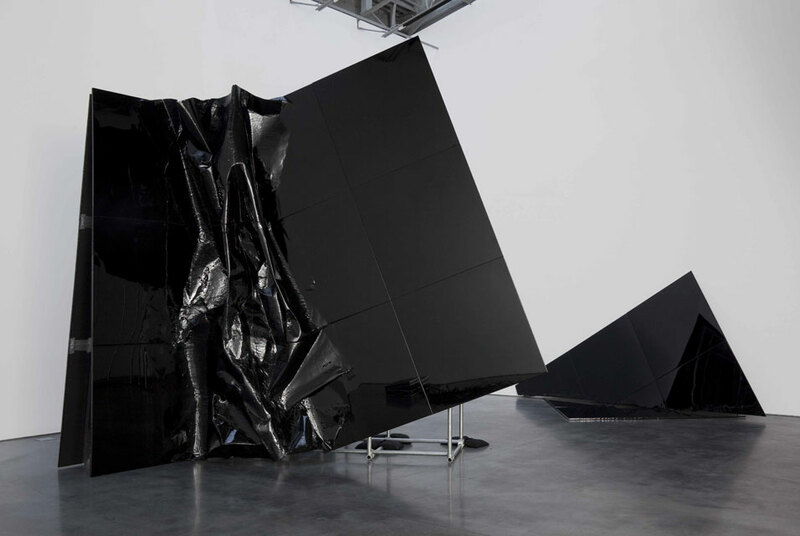 The contrasts of black and white as well as the hollowness of the space contrasted by the scale of the sculptures makes this an intensly experiential installation.